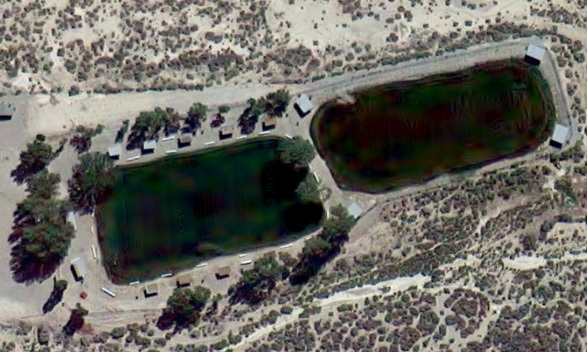 Tonopah’s Sportsman Park ponds complex -The South Pond or the “2nd Pond” is shown to the right in image . 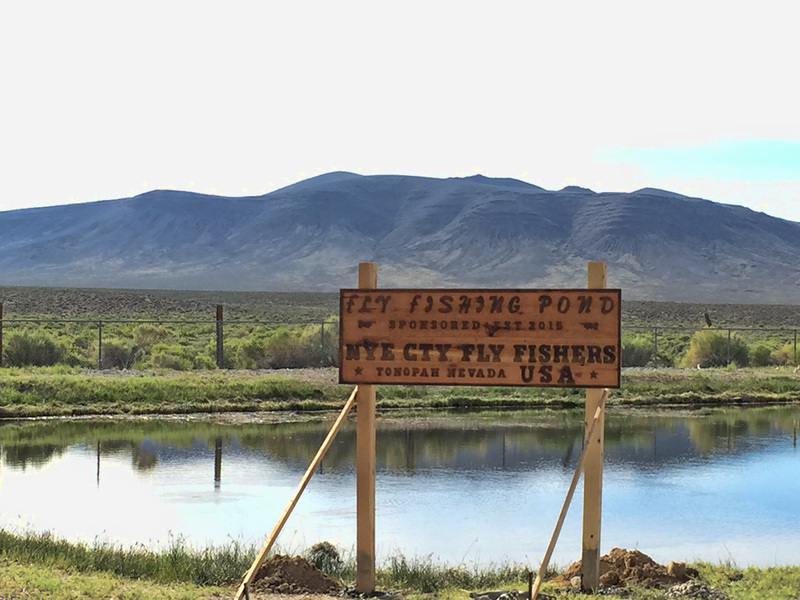 In early 2015 NCFF petitioned the Tonopah City Manager and the local Rotary Club to dedicate the Sportsman Park “second pond” for use as a fly fishing pond. As a result, NCFF club members have initiated the development of pond #2 for fly fishing. NCFF commissioned local sign maker Steve Carpenter to carve a NCFF sign for the second pond. NCFF President Mark Madsen and members Rich Lewis, Hep Klem and Don Kaminski installed the sizable sign at the 2nd pond in May of 2015. Thanks to NCFF member Lance Jergensen-Rebel Malting Co. of Reno, NV made a $1000.00 donationfor stocking trout into pond #2. Prior to the 2015 Rotary Club Annual Father’s Day Fishing Derby, trout were brought in from a Northern Nevada hatchery to Sportsman Park and both ponds were stocked. 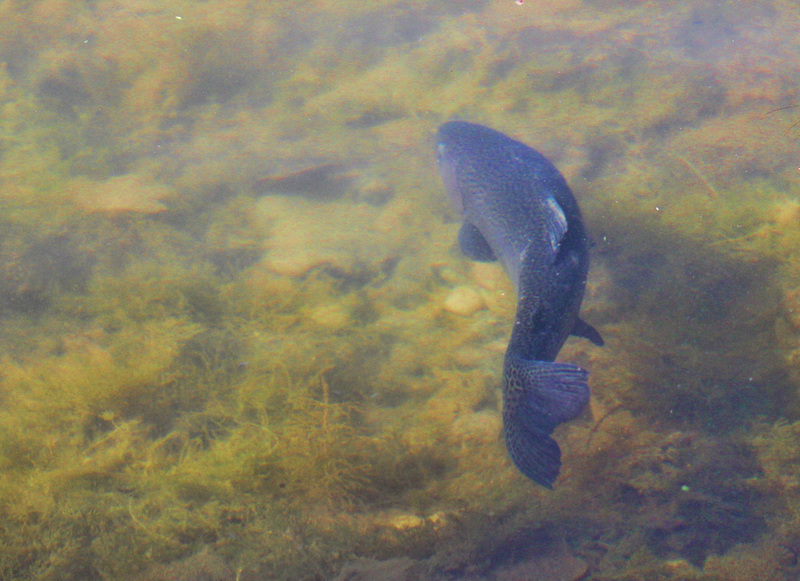 Around thirty fat rainbow trout were stocked in the fly fishing pond. This past fall these fish were still in the second pond and growing to a really nice size. The size of these planted trout are now approaching 3 pounds and 20 inches. The weeds growing in the 2nd pond make it challenging to fish. Hopefully the club can have more removed by the crew this year. They are catchable if you carefully approach the open holes in the weed beds.